Finally, the day comes where a Worm Ouroboros record will be available on vinyl. Though I still pine for the debut Worm Ouroboros record on wax, this will make a rather nice prize as well. 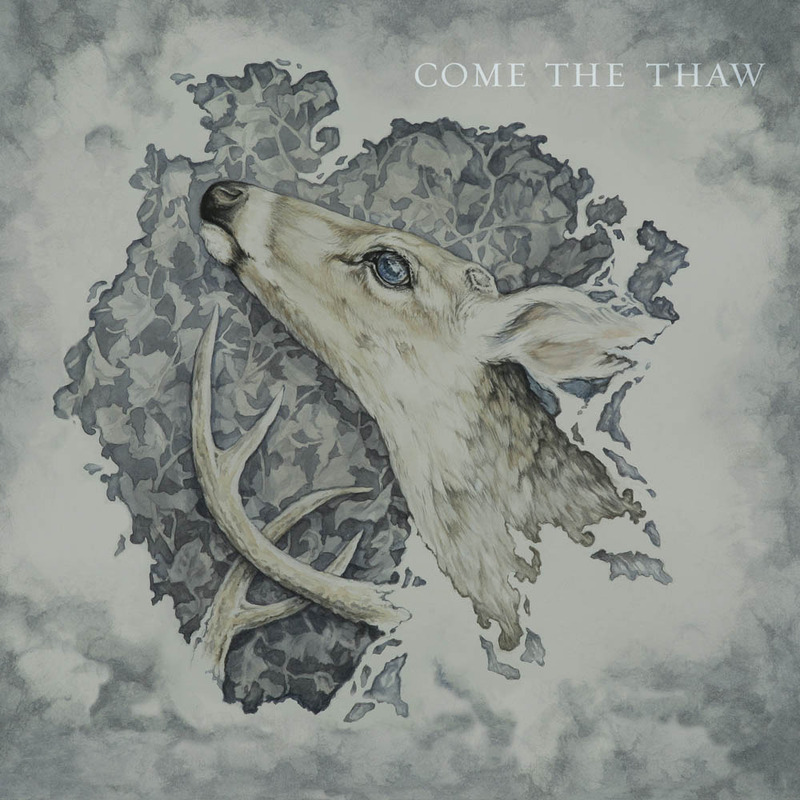 Come The Thaw didn't move me like the first Worm record did, but over time, it grew on me, and I like it a little more every time I hear it. There is no doubt it is a beautiful album, even if it doesn't quite match the transcendent beauty of the debut. That's quite a high standard to set with a debut anyway. In any case, Come The Thaw will still scratch the itch if you're looking for minimal, haunting and soulful music, and with heavenly vocals from Lorraine Rath and Jessica Way, two of the loveliest ladies in all of music today, you surely cannot go wrong. Oh, and some guy named Aesop plays drums, and we think he's pretty damned awesome too. Presented on two gorgeous pieces of vinyl - standard black, and transparent grey, which is limited to 125 copies- in a gatefold sleeve. Pre-orders up now from our good friends at Flenser Records.